There is something to be said for those who believe “where there is a will, there is a way”. 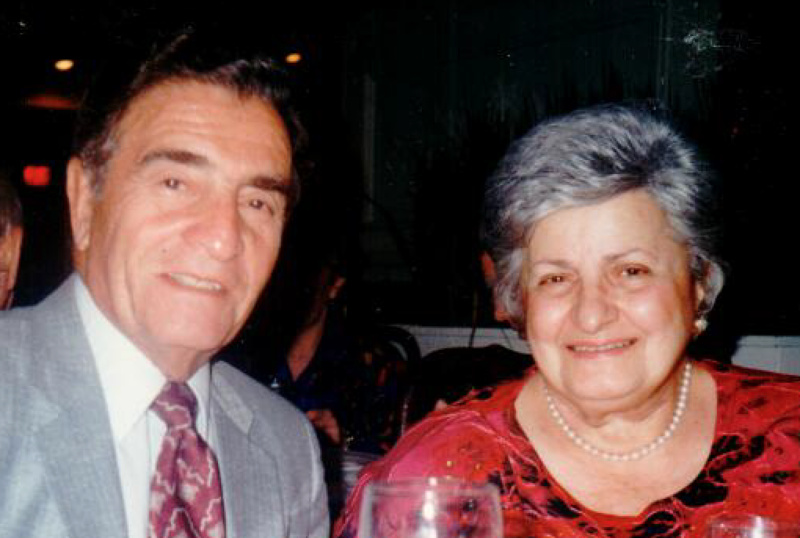 My grandfather, Aram, the son of Armenian genocide survivors was born in Philly. Aram was taught at an early age that hard work was his way of survival. As a young boy he would shine shoes and sell pretzels on the streets of Philadelphia to help support his family. Shortly after he passed away my brother and I had the chance to visit Front street in Philly, where he spent his days as a young salesman. My grandmother, Florence, orphaned at a young age, also learned the importance of hard work through a rough upbringing in Worcester. After World War II ended, my young grandparents moved to Hartford. Aram used his ability to sell just about anything to get a job. He began working for G Fox & Co in the contract department. Aram soon became known as Kaz, a nickname that stuck with him for the rest of his career. At G Fox & Co he came to the realization that he had what it took to start his own interior firm. My grandfather had every characteristic you would imagine in a salesman during that time. He was charismatic, personable, understanding and always had a couple jokes up his sleeve. My grandmother, on the other hand, was his right-hand lady. The Aram A. Kaz Co was soon theirs, they founded the corporation and ran it as the dynamic duo that everyone in town knew about. My grandparents began the business on all of those good old fashion values; trust, loyalty, and quality. I often think about how their poor city upbringings motivated them to be the successful people they wanted to be. They desired the kind of success that required quality and honest hard work. My grandfather did whatever it took to get the business going. He was always on the road or going door to door to build his reputation from the ground up. Flo was the eyes and ears of the Kaz Co. she ran the place like she was born to run a company. She was fearless in the business, really embodying what every woman in business today wants to be. Together they were a team and they knew what it took to succeed. Before my grandparents passed my dad, Gary, bought the company. My dad was the first person in his family to receive a college degree. He brings things to the table that keeps the Kaz Co. contemporary and as he always says “innovative”. The work my dad has completed, especially in recent years, is beyond what I ever thought my small family business was capable of doing. What my dad does is an art form, his ideas are endlessly innovative. I’m so proud to share my family’s story with our clients. Our story is special and so is our work.